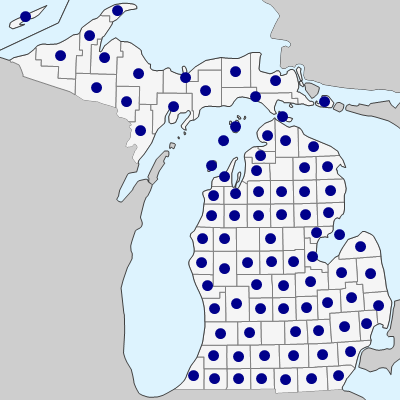 Very common throughout Michigan, nearly always in moist to wet places: shores, edges of marshes and ponds, fens and springy areas, ditches and swales, river and stream margins, swamps, wet gravel pits and other excavations (or filled ground). Variable in leaf form, pubescence, and other characters. 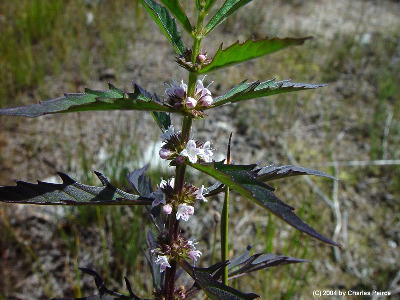 The stems are ± densely hairy at the nodes that lack flowers, but the internodes vary from glabrous to hairy. The upper surface of the leaves is usually glabrous, often scabrous, but may have a few hairs especially toward the base, a feature normally associated with L. europaeus. Both species have a very sharply 4-angled stem and nutlets usually 1.2–1.7 mm long. Both lack surficial runners, though they are rhizomatous, while all our other species except L. asper frequently produce slender elongate runners. MICHIGAN FLORA ONLINE. A. A. Reznicek, E. G. Voss, & B. S. Walters. February 2011. University of Michigan. Web. April 21, 2019. https://michiganflora.net/species.aspx?id=1557.